In the primary program, children continue to work individually with the Montessori materials to progress at their own pace. A typical day involves individual free choice work time, outdoor play, gross motor activities, story and music time. 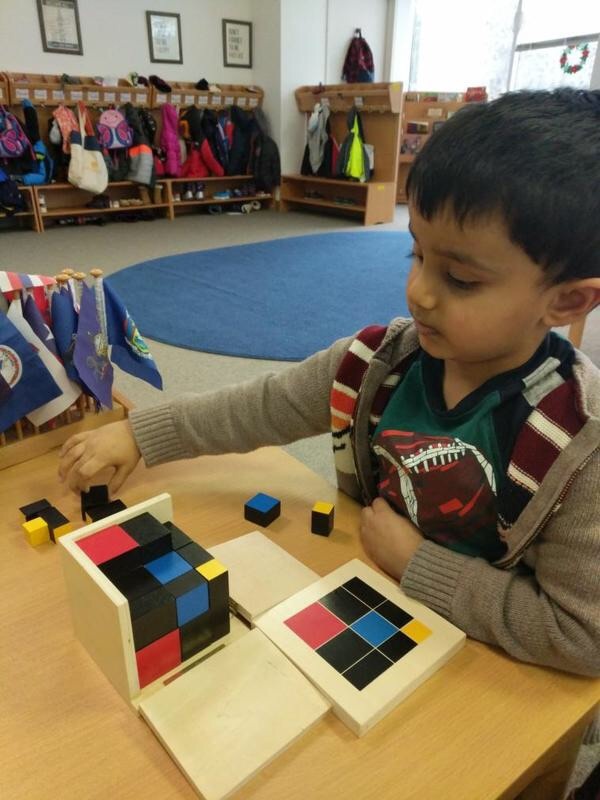 The focus of the primary program is still on the development of independence and life skills, but the children attempt a broad range of new activities in the Montessori curriculum. Refinement of oral language into reading and writing occurs following a phonetic based approach. Geography, Science, History, Art and Music are all an integral part of Montessori curriculum.